Cut from supple matte-black leather, the Juju Everdream sandals are a true modern classic. 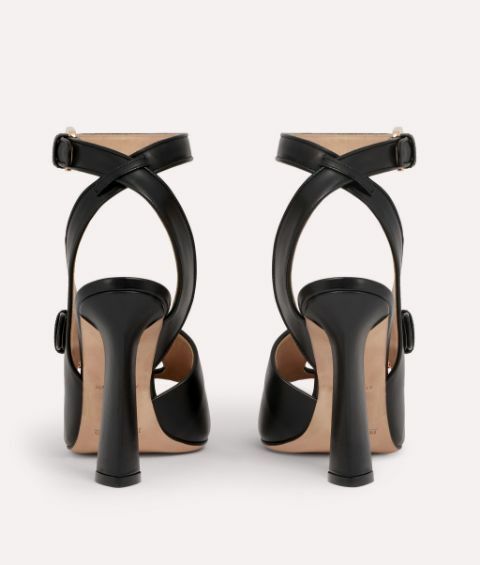 The clean yet curving lines of the ankle-strap design speak of Paula Cademartori's masterful mix of sensuality and effortless, contemporary style. 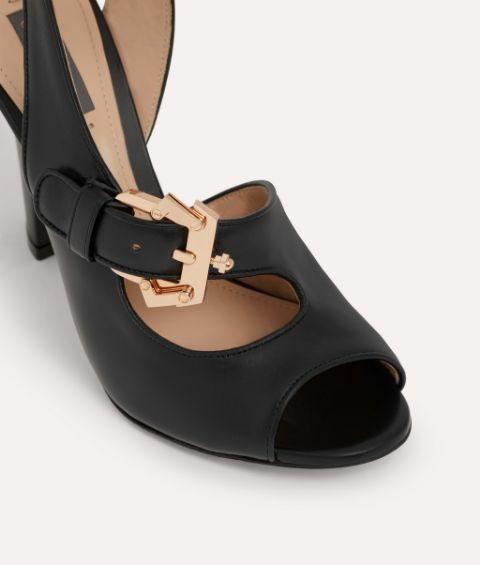 This vertiginous pair is minimally adorned with sleek metal buckles in the inimitable geometric design – a seasonless pair to cherish forever.